Creamy melted nacho cheese sauce perfect to enjoy with our fresh made chips! Pozole and menudo served Saturday and Sundays only. Chicken and tortilla strips in a tasty broth topped with avocado and melted cheese. 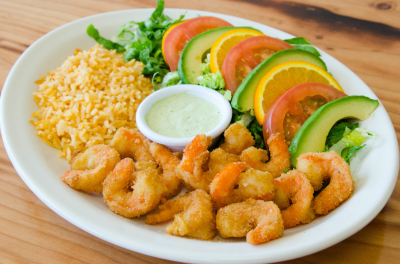 All pollo plates are served with real Mexican rice and your choice of refried or rancho beans. 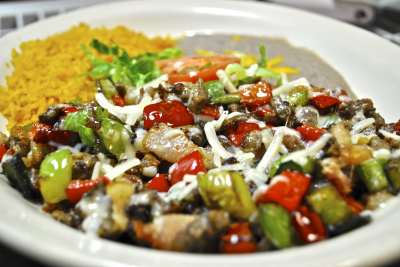 Our fajitas arrive on a sizzling platter with a bed of seasoned onion and peppers. Served with real Mexican rice, beans, sour cream, guacamole, letturce, tomatoes and cheese. Enjoy them with our fresh corn tortillas. Filling Choices: Cheese, ground beef, chicken or picadillo. 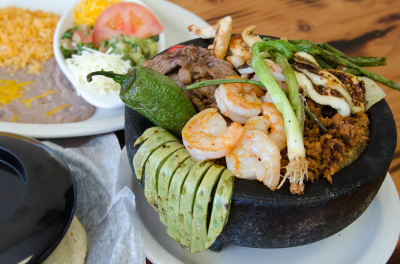 Served with real Mexican rice and chour choice of refried or rancho beans.